The initial coin offering (ICO) of the Telegram messenger can become one of the largest in history: only in pre-sale, the team of project intend to raise about $500 million, and the subsequent stage of the campaign is to raise the capitalization of tokens to $3-5 billion. 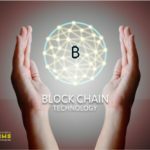 Its own blockchain named Telegram Open Network (TON) should be "blockchain the third generation" after Bitcoin and Ethereum capabilities to a new level. For the domestic user payments, it will use tokens named Gram. 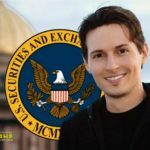 According to unconfirmed reports, members of the pre-sals that are not surrounded by the co-founder of Telegram, Pavel Durov, will have to invest at least $20 million in addition, during the ICO will only accept fiat currency, not bitcoin or ETH. It is alleged that the leading institutional investment firms have already expressed interest in ICO, but the first be wary of their suggestions. As writes TechCrunch, this is partly due to past events around the social network VKontakte, when the "oligarchs shareholders, are closely associated with the Russian government, Durov has forced to sell its stake in the company." One such interested investors is Mail.Ru Group, however, the company has not yet commented on this information. Approximately 4% Gram (200 million tokens) go to the maintenance command Telegram. 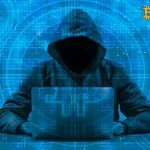 In addition, the company will hold "at least 52% of" the total stock of tokens, to "maintain flexibility and protect them from speculative trading". The remaining 44% is sold through public and private campaigns. In addition to the app Telegram, tokens will also be presented on the outside of the cryptocurrency exchanges. The launch of Telegram External Secure ID scheduled for the first quarter of this year. 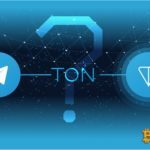 The Telegram wallet will launch in the fourth quarter of 2018, and based on TON the economy can appear in the first quarter of 2019. It will be followed by the remaining services Telegram Open Network. © 2018 bit.news | queries 229, for 0.474 sec.